A business’s website is a critical component of their digital marketing. The question to ask yourself is this: is your website an effective hub of your online business? You'll be surprised to learn what most people are saying... Let’s takes a look at a business's website from a strategic viewpoint. 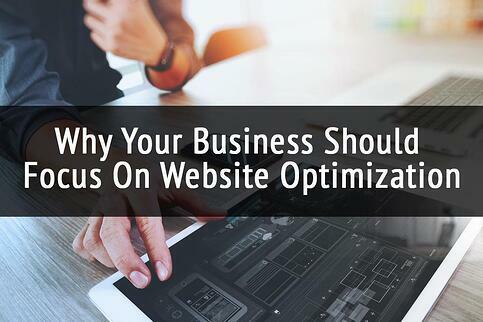 In a recent survey we recently ran, one of the questions asked to small to mid size businesses was, "Do you believe your website is optimized to support effectively your online lead generation, your business goals, your online growth?" 85.6% replied with either no, or not sure! Quite honestly, when almost 9 out of 10 SMB's are unsure if their site is optimized for their key business goals, it strongly suggests an area for significant improvement. What Value Does an Effective Website Bring? When we consider that the website is a hub for all of our online activities, this is something that we all need to address when it comes to effectiveness. Let’s look at a few value points we can look at. Design – Is it current or outdated? Will it attract or possibly repel a viewer? Tech backbone – Is the load time fast? Slow? Speed is crucial in the online world. Brand – Are you communicating your brand effectively? Is your UVP (unique value proposition) easy to understand? SERP – Are you ranking high on search engine result pages for the keywords you are targeting? Traffic – Are you generating enough traffic and appropriately navigating it to effectively support your business goals? Analytics - Do you have an understanding of the sources of traffic you generate, their volumes and the actions taken by this traffic? 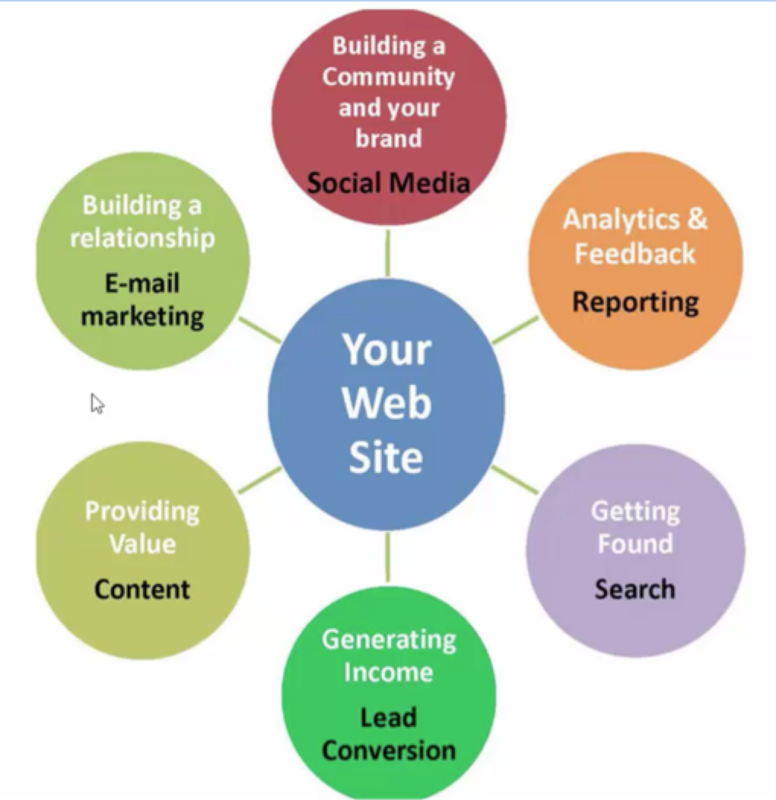 The value of your website is a combination of all these elements, plus more. Let’s look at the value of a website from a different perspective, specifically in the sense of traffic and leads. 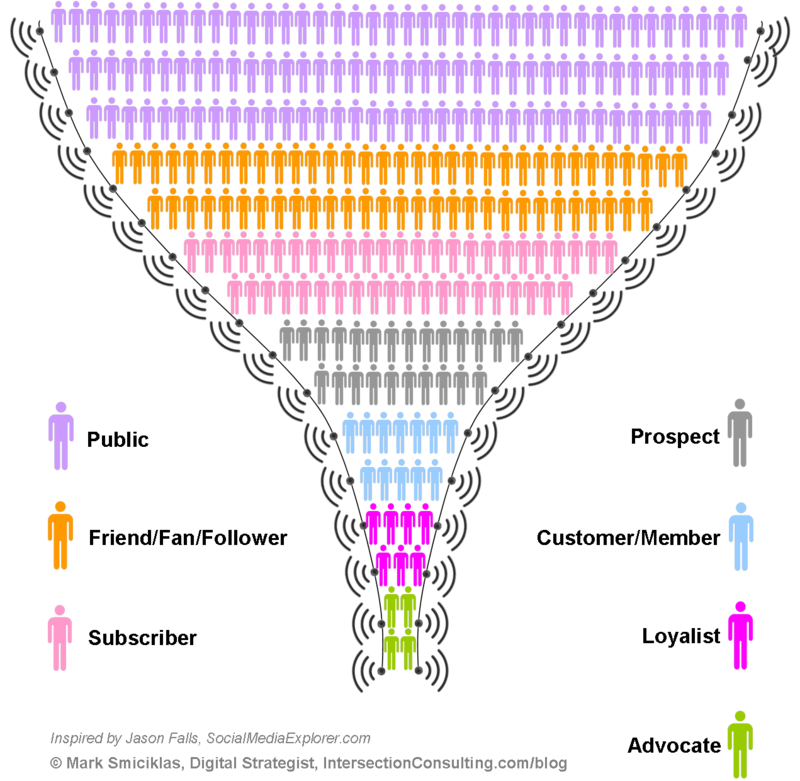 Mark Smiciklas shows us the market funnel in terms of traffic, with the numbers getting smaller and smaller as interactions and the evolution of the viewer increases. Take a look at the top of the funnel. There are multiple rows of light purple stick figures. These are simply viewers. 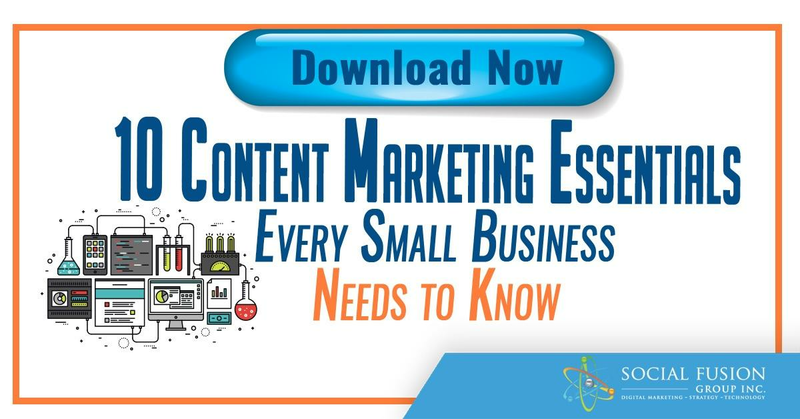 However, the goal of your website is to support the nurturing of the viewer who knows next to nothing about you, and move them through the process of: becoming a fan, then a follower, then a subscriber, turning into a prospect, finally becoming a customer, and ultimately become an advocate for your business. We always talk about the onion vs the layers of the onion. Do you see one onion or all the layers that comprise the onion? This is the same thing. Do you have a "website" or do you have a series of integrated processes that weave through your website that drive your online business growth? Let's take a strategic perspective to websites. In this example, website is defined by the term hub. The website is the hub or middle of this chart; it's going to be doing a variety of things. Strategically, when considering "what is in an optimized website", it is most likely all of the above. What can you do as an SMB to start and immediately increase your optimization and benefit? Set a clear goal for what you are intending to do with your website. This will range from establishing credibility and branding, to driving online revenue. Be specific with your goals. Ensure that you have access to analytics on your website. The simplest, is loading Google Analytics. However, there are other paid tools like Hubspot (which we use), that provide rich analytical insight as well. There are more steps beyond here, but let's start with these three. If you are able to address these three elements, you will have strengthened your potential to increase your website optimization. Use this information you glean to define your next steps.